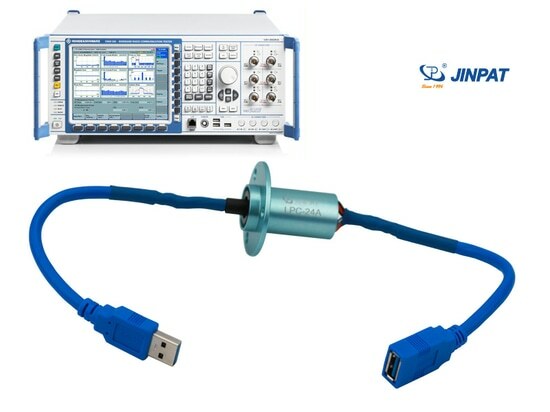 JINPAT USB Slip Ring for Automatic Mobile Phone Testing Equipment - Shenzhen, Guangdong, China - JINPAT Electronics Co., Ltd. Since the demand of mobile phones is too large, the traditional detection methods have completely failed to meet the actual needs. In view of this situation, major mobile phone manufacturers began to develop automatic mobile phone testing equipment to improve the efficiency of mobile phone testing and ensure the quality of mobile phones when they leave the factory. 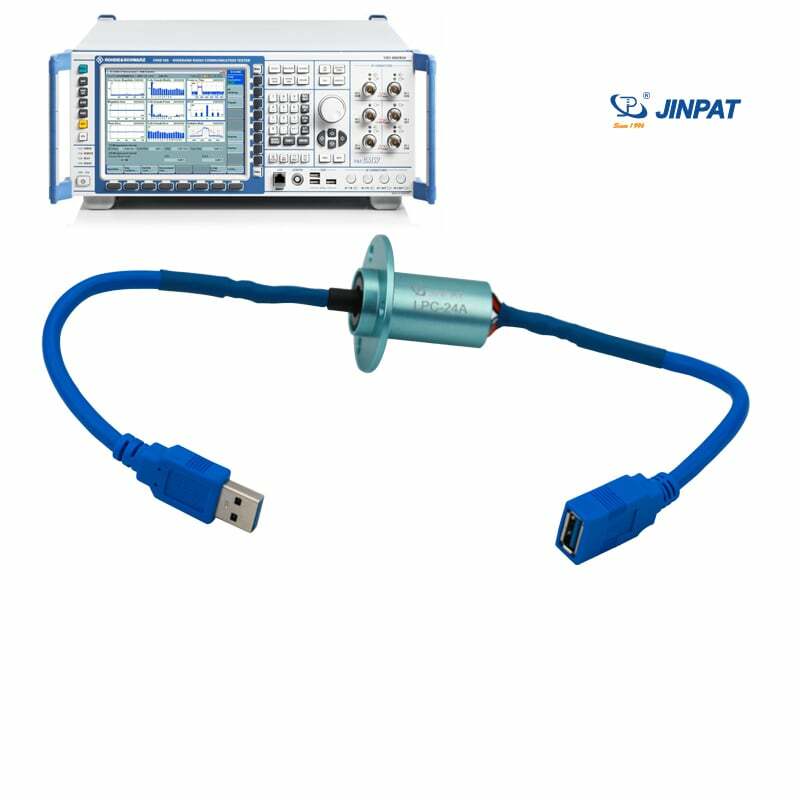 In the automatic mobile phone testing equipment, to achieve the 360-degree rotation and solve the winding problem, the JINPAT USB slip ring is installed as a core component in the rotation center of the equipment. JINPAT USB slip rings can be used in electromechanical systems that require unrestricted continuous rotation of current and data signals. It improves mechanical performance, simplifies system design, and avoids possible damage to the wire as it rotates. With the USB hub, the USB test port can be expanded to more than ten or even dozens. Each test port corresponds to one mobile phone to be tested. During the test, the turntable rotates regularly, and the USB port of the computer is connected to the mobile phone to be tested through the USB slip ring, and the motherboard and other hardware of the mobile phone are detected. 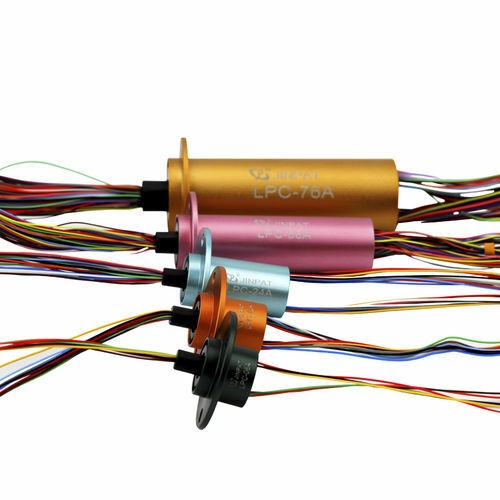 The JINPAT USB slip ring perfectly solves the problem of winding when the turntable rotates, changing the traditional one by one test method, greatly improving the test efficiency. Besides, the connector type is optional, including A-type connector, B-type connector, Mciro connector, etc. And it can be integrated with other signal to diversify the transmission signals.